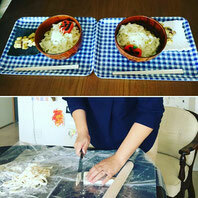 Udon noodles class at my home!! thanks for coming! !